This story on Tuesday’s statewide ballot questions — including whether to hold a constitutional convention — by Emma Whitford, Jake Offenhartz, and Dave Colon, was scheduled to appear on Gothamist last Friday. Although Gothamist was abruptly discontinued on Thursday, we’re compelled to run the piece anyway because it provides a thorough yet succinct analysis of vital issues. For all those readers who have shared their disappointment over Gothamist’s disappearance, stay tuned — and go vote! Mayor Bill de Blasio appears to be coasting to a second term, and most of the contested City Council races were decided during the primary. But on Election Day this Tuesday, three statewide ballot proposals — which you’ll find located inconspicuously on the back of your ballot — deserve your scrutiny as an informed citizen of New York. In particular, 2017 marks a once-every-two-decades opportunity for New Yorkers to crack the state constitution wide open. The last time the document changed substantially was in 1938, and proponents of the “ConCon” see a rare opportunity to push through major reforms. What if New Yorkers could register to vote on election day? What if state politicians had term limits? What if precarious abortion rights were made permanent? If New Yorkers vote for the convention, they’ll head back to the polls next year to elect delegates — three from each Senate district plus fifteen at-large. The convention would be held in 2019, and all constitutional amendments would go back to the public for a final up or down vote. But ConCon has many detractors. The New York Times Editorial Board denounced the idea of a convention last week, and the latest Siena College poll shows voters opposing a convention more than two-to-one, 57 percent to 25 percent. New Yorkers looking to vote along party lines are out of luck, as liberal voters are split. The state’s biggest unions are staunchly opposed to ConCon, along with the Legal Aid Society, the New York Civil Liberties Union, and Planned Parenthood. The pro-ConCon camp includes the good government group Citizens Union, the League of Women Voters, and the New York State Bar Association. Unions are outspending convention supporters, a serious advantage in a debate with so much swirling misinformation. Ballot Proposal 1: Should New York hold a constitutional convention to revise the constitution? Article 17 of the New York State Constitution, which was adopted in 1938, begins, “The aid, care and support of the needy are public concerns and shall be provided by the state,” and outlines the various obligations the state owes the indigent. The Legal Aid Society of New York, which has joined a number of other progressive groups in opposing the convention, says they will not risk jeopardizing Article 17. Calling the article “a very effective tool,” Welber credited the constitutional provision for allowing progressive groups like Legal Aid to argue for the state’s right to shelter law and to extend welfare benefits to immigrants and people impacted by federal welfare reform. It’s therefore seen by advocates as a way to counteract the Trump administration’s worst potential social service cuts. Planned Parenthood has also come out against the convention. In a statement to Gothamist, Planned Parenthood’s state office suggested the convention could be bent to the will of rich conservative activists, ultimately costing the state more than it could gain in the process. The question of how delegates would get elected is part of what has driven the fear of right-wing big-money interests warping the process. 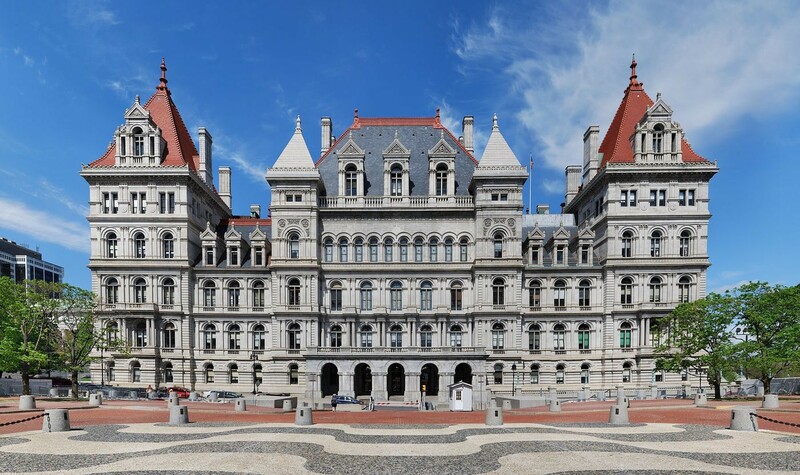 The New York Civil Liberties Union suggests money, combined with the state’s gerrymandered Senate districts, could lead to a rightward bent at ConCon. Organized labor has come out against ConCon as well, seeing it as a threat to collective bargaining rights and employee pensions. While current pensions couldn’t get slashed due to federal contract law, future state employees could see a reduction in benefits, they argue. The Transit Workers Union worries collective bargaining rights could be written out of the state constitution. Governor Andrew Cuomo told reporters earlier this year he was worried about ConCon turning into a shadow legislature. “Remember that we are operating under a constitution that was written in 1894 and last amended in any major way in 1938, and it was a constitution that was meant to be readdressed by each generation, and it has not been for 80 years,” said Sharon Stern Gerstman, president of the New York Bar Association and a strong ConCon supporter. Supporters note that any constitutional changes would also have to be approved by the voting public, creating a safety net of sorts. Gerald Benjamin, a political science professor at SUNY New Paltz, and a long time supporter of constitutional conventions, says delegates will have the option to single out the most controversial questions for a final up or down vote. The same Siena Poll that indicated flagging support for the convention also showed wide margins of support for priority ConCon reforms regarding voting regulations, campaign finance, and term limits. According to Davis, this indicates ConCon amendments will lean progressive. “New York will never be more progressive [than right now], and we have our president to thank for that,” he said. Proponents also dismiss the concern that the convention could be stacked with political insiders. Tom Bergdall, a senior associate at the Citizens Union, said he’s spoken to dozens of progressive groups that have expressed interest, including the New Kings Democrats, a Brooklyn-based grassroots political organization, and Emily’s List, a PAC that promotes female candidates. “We would look for, obviously, people who have experience with the issues and some experience with dealing with and negotiating governments. But we don’t want it to be just, and I’m putting this in quotes, ‘professional political people,’” Bergdall said. In the 1967 ConCon, which was ultimately voted down, only 13 delegates were state legislators. And while the state Senate is divided between 31 Republicans and 31 Democrats (in theory anyway), Politico suggests that gerrymandering fears might be unfounded, since many Republican senators represent districts with a very slim majority. An independent commission found in 2007 that consolidating the court system, a main ConCon priority, could save $502 million per year. Adjusted for inflation, proponents argue, the amendment could save $600 million annually — handily covering the cost of the convention. As for the unions’ concerns, “It’s a deeply blue state and those protections are not going to be reversed,” Bergdall said. “I’ve heard unions say their political resources would be stretched too thin trying to deal with the delegates to the convention. I think that legitimately is [an issue],” he added. Ballot Proposal 2: Should public officials with felony convictions lose their pensions? The second proposal on the ballot would give judges the power to reduce or revoke the pensions of some government employees convicted of felonies related to their duties. Under current law, public officials — a term that includes elected officials, judges, and government appointees, but not cops, firefighters, or transit workers — who started working before 2011 cannot be stripped of their pensions, no matter how corrupt their time in office. 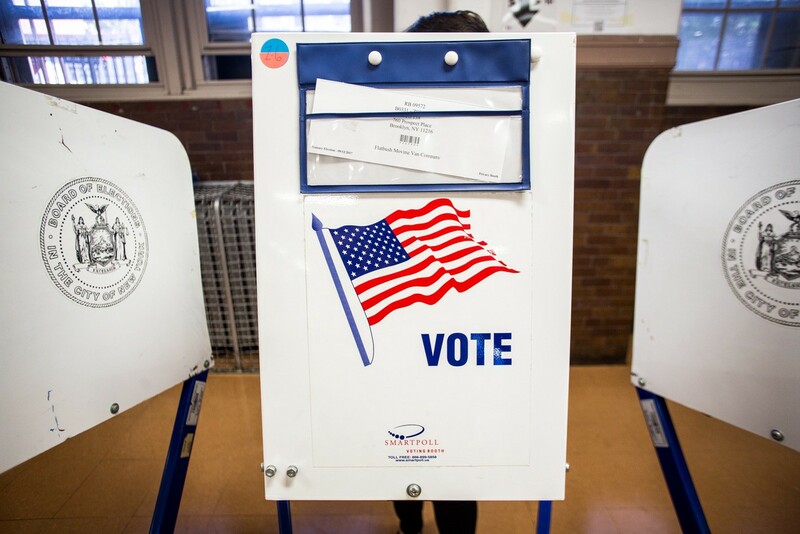 Unsurprisingly, the measure has broad support statewide — a Siena College poll found that 75 percent of New York voters planned to vote yes. The main knock against the proposal, at least among those willing to go on record, is that it doesn’t go far enough. Since public officials who started after 2011 are already subject to pension forfeiture, and because the ballot proposal only applies to those who commit crimes after 2017, the immediate impact on corrupt lawmakers would be limited. Regardless of whether it passes, Skelos and Silver will not see any changes in their pensions. The proposed amendment will create a land account with up to 250 acres of forest preserve land eligible for use by towns, villages, and counties that have no viable alternative to using forest preserve land to address specific public health and safety concerns; as a substitute for the land removed from the forest preserve, another 250 acres of land, will be added to the forest preserve, subject to legislative approval. The proposed amendment also will allow bicycle trails and certain public utility lines to be located within the width of specified highways that cross the forest preserve while minimizing removal of trees and vegetation. Shall the proposed amendment be approved? 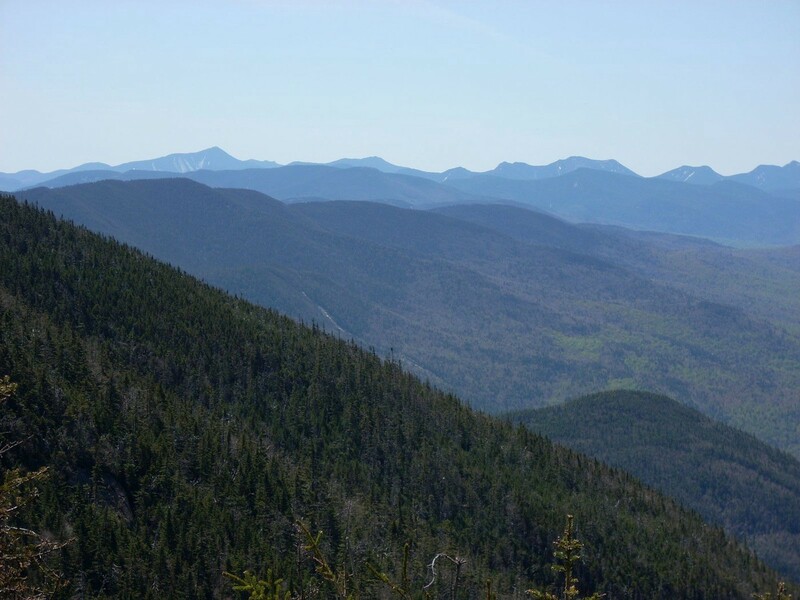 Currently, the sale or exchange of forest preserves in the Adirondacks and Catskills state parks is prohibited under the “Forever Wild” protection of the state constitution (an outcome, coincidentally, of the 1894 Constitutional Convention). While largely popular in the region, the strict environmental regulations have made minor public infrastructure projects into a major hassle — replacing a crumbling bridge, for example, or straightening a dangerous highway curve, can be a years-long legislative headache ultimately requiring a statewide vote. In an effort to rectify this problem, Proposal 3 would permit counties and townships in the region to access small portions of the protected land for certain infrastructures projects related to health and safety. And to offset the encroachment, the state would add 250 acres of private land to the preserve — enough to meet the needs of localities for decades, according to the New York Public Interest Research Group. John Del Signore is the former editor in chief of Gothamist. His writing has also appeared in The Awl, Deadspin, and The Nervous Breakdown.